The focus for our 10th grade SpringBoard course is Culture. Our goal is to complete one unit per quarter. 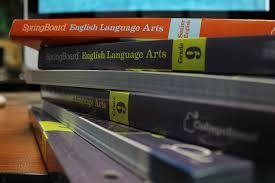 Textbook: SpringBoard- English Language Arts- Grade 10, CollegeBoard, 2014.